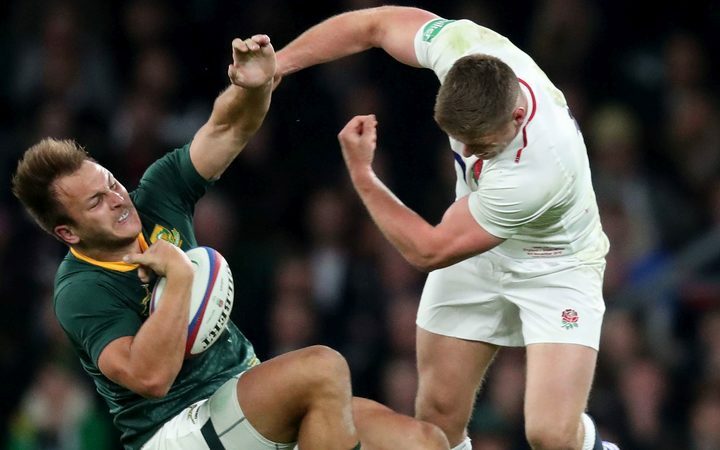 Former professional referee Rob Debney says Owen Farrell’s controversial tackle on André Esterhuizen was illegal and should have resulted in a penalty to South Africa. Writing for The Times, Debney also says every single referee he has spoken to regarding the hit – agrees Farrell should have been penalised. “Law 9.16 states: “A player must not charge or knock down an opponent carrying the ball without attempting to grasp that player.” Debney writes. 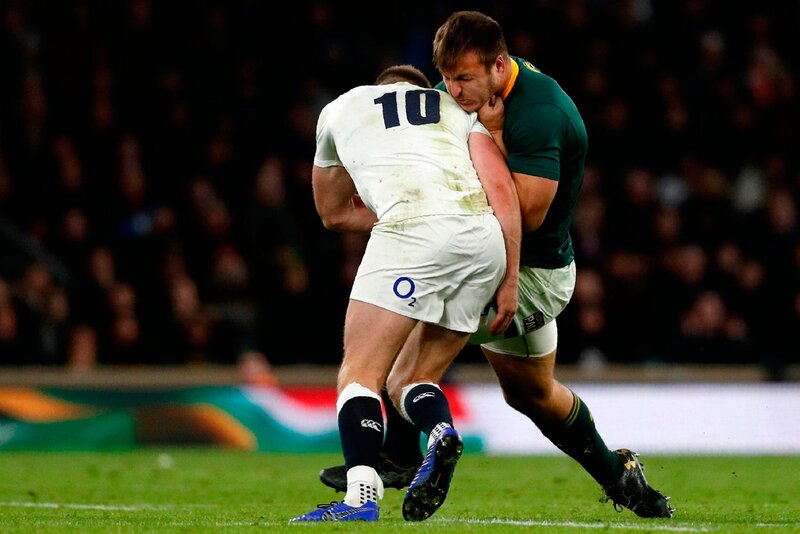 Debney also highlights a tackle on England’s George Kruis from RG Snyman earlier in the game that went unpunished. He says Gardner incorrectly used the fact that Kruis ‘dipped’ into the tackle as a mitigating factor, suggesting the referee on more than one occasion did not follow World Rugby protocols.